1. 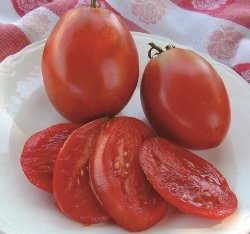 Italian Heirloom- This heart-shaped, blush red heirloom tomato promises a classic, full tomato flavor. 2. 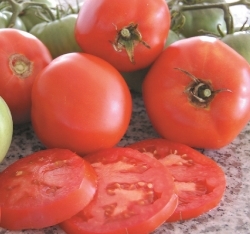 Amish Paste- Originally from the Pennsylvania Amish, this tomato is ideal for fresh eating. 3. 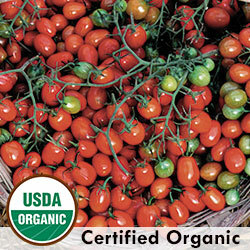 Cherry Roma- These small, plum-shaped organic heirlooms promise a sweet yet spicy flavor perfect both fresh and dried. 4. 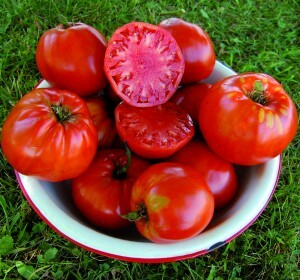 Black Krim- These beefsteaks may have an unusual purple to green coloring, but a tart and excellent flavor. 5. Brandywine- This heirloom tomato variety is a productive grower with a classic round and red look. 6. Kanner Hoell- This moderately sweet beefsteak from the Preservation Gardens is on promotion for a short time to non-members. 7. 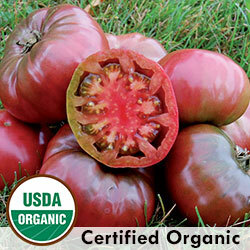 Cherokee Purple- These organic heirloom fruits of a dusty dark pink color have a pointedly sweet flavor. 8. 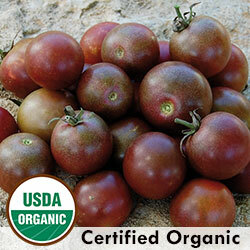 Black Cherry- This small and dark organic variety offers a pretty and sweetly complex element to your salad. 9. 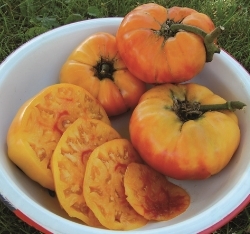 Gold Medal- This gold heirloom tomato with reddish streaks is a favorite bi-colored variety which won our 2008 Tomato Tasting. 10. Blondkopfchen- These tiny yellow organic fruits grow in large clusters and promise an excellently sweet taste. When you become a valued member of Seed Savers Exchange you can receive 10% off your purchases from our catalog and online store. You'll also have access to thousands more heirloom and organic vegetable, flower, and herb seeds offered by other members in the seed exchange. 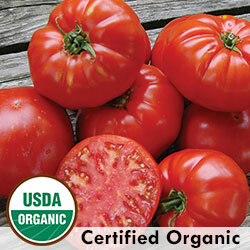 We invite you to browse the tomatoes and many more heirloom and organic seed varieties at our Online Seed Exchange.